The Democratic candidate for a safe seat in the U.S. House of Representatives stands accused of immigration/marriage fraud and bigamy. The district is in Minnesota. More precisely, Somalia-born, now-naturalized Ilhan Omar is accused of marrying her own brother while being married to another, as well as misuse of campaign funds, two probably unrelated matters. The apparently cosmopolitan Omar, 36, is said to have used $3,000 in campaign funds for personal travel, including a trip to Estonia. The somewhat jumbled AP account of these events fails to explain why she went to that little country, which seems to be distant from either her background or her political ambitions. Omar admits the marriage, more or less her second, to Ahmed Nur Said Elmi, and says that he is not her brother, but refuses to release any documents or specific information to support her story. Omar's political skills — no matter to whom she is (or was) married — are remarkable. She unseated the senior member of the Minnesota legislature in a Democratic primary two years ago and, it being a strong Democratic district, she was unopposed in the fall of 2016. 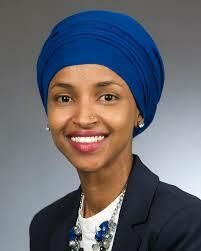 She is the first Somali elected to that body, and will be the first in the U.S. House if elected next month. Next, the congressman for her district, Keith Ellison (D-Minn.), another Muslim, narrowly failed to become chairman of the Democratic National Committee last year and opted this year to seek office as the Minnesota attorney general (a position once held by Walter Mondale, later a senator, a vice president, and an ambassador to Japan). This left an open seat in the national House (it is mostly the city of Minneapolis) and she again secured the Democratic nomination. A huge dollop of luck. The luck includes a substantial amount of governmental non-curiosity; the U.S. Attorney's Office in the last year of the Obama administration, according to the AP story, said it was not investigating the marriage-fraud charges; that might be attributed to political tilt. And then, for almost two years of the Trump administration, there has been no (or no announced) investigation of the same charges, which either indicates that she is as clean as a whistle or that the new U.S. attorney is asleep at the switch. Conservative online sites have alleged that Elmi is Omar's brother and she married him to commit immigration fraud. It's unclear exactly what type of fraud is alleged, but spouses of U.S. citizens typically have a quicker path to citizenship than siblings, though neither is guaranteed citizenship. The basic concept that a marriage of a citizen to an alien grants that alien a green card seems to have missed our correspondent. And while it is true that a spouse of a citizen has a three-year wait for naturalization, and a sibling of one has a five-year wait, that is hardly a motivation for marriage fraud. One more bit of luck for the future member of Congress: Elmi, who she says is a British citizen, apparently is in London and no journalist or fed has bothered to talk to him. "We choose not to further the narratives of those who would oppose us" Omar's statement said, adding that she believes the claims are being made by people who want to stop a black, female Muslim from sitting in Congress. 2018 — Married (re-married?) Hirsi and was nominated for Congress. At the very least, a busy lady — one with a fondness for guys named Ahmed. In my 2016 posting I wrote that she had been born in Eritrea, which is not correct. Both Somalia and Eritrea are adjacent to Ethiopia and both are former Italian colonies.